China and Russia are growing closer in an effort to offset America’s geopolitical sphere of influence. And it’s something to which defense and cybersecurity experts say Washington should pay attention. Moscow and Beijing have a long complicated history. Russia has always feared a Chinese takeover of its under-populated Siberia. But for the first time in history 3,200 Chinese troops trained alongside 300,000 Russian troops in Siberia this September. And both Beijing and Moscow say they intend to make this a regular occurrence. Defense experts say the location of this joint military exercise is calculated. Dr. Christopher Yung is an expert on Chinese warfare capabilities as well as its emerging foreign and defense policy. He is a former Senior Research Fellow and Deputy Director Center for the Study of Chinese Military Affairs (CSCMA), Institute for National Strategic Studies, National Defense University (NDU). His thoughts expressed in this article do not represent the official views of the United State Marine Corps, the Department of the Navy, or the Department of Defense. “The fact that a joint exercise took place in Siberia where the Russians are particularly sensitive to the possibility that China simply absorbs this part of Russian territory indicates that Moscow has made a short-term calculation that it is better to align with China now against the West/U.S. On the Chinese side, the Chinese appear to be taking the growing tension between itself and the U.S. seriously and therefore is willing to sacrifice good relations with the U.S. for the purpose of keeping the U.S. off balance,” says Dr. Yung. 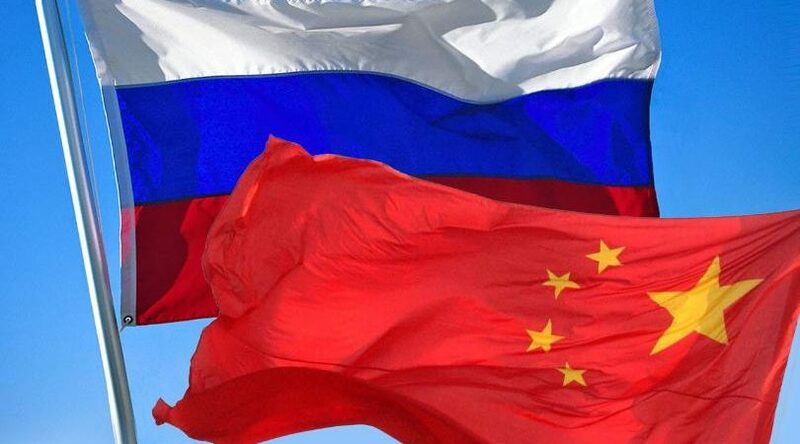 China and Russia are not close. And that’s exactly why President Nixon’s national security advisor, Henry Kissinger decided to exploit this rivalry for the benefit of America with a policy that became known as “triangular diplomacy” or “triangulation.” Kissinger felt it was important for Washington to have better individual relations with Beijing and Moscow than the two countries had with one another. Dr. Yung says “the United States is not following this approach very well. Despite President Trump’s statements on the need for a closer relationship, US-Russian relations are not particularly good; and US-China relations are at a low point in the “New Period” (i.e. post-Mao). Russia and China have an alignment of convenience and are jointly poking at the international system of US leadership” But Dr. Yung says it’s important not to misrepresent this relationship as an alliance because that is an overstatement. Beijing has reportedly abandoned its previous policy of not having an overseas military presence and is growing People’s Liberation Army (PLA) troops in Afghanistan. But China denies reports that it is planning military bases in Afghanistan. Regardless China has growing economic, political and security interests internationally. And it “needs continued access to raw materials, energy, and needs a stable periphery; furthermore, it needs to create markets in some rough neighborhoods as its export markets start to dry up.” Says Dr. Yung. And he says The Belt and Road Initiative is central to this strategy. “For every yuan of infrastructure and energy investment the Chinese make in these areas, there will be an increased need for security. Some of that will come with building partner capacity of these countries (hence the training of Afghan troops in China), some of it will come from private Chinese security contractors, and some of it will come from a gradually increasing PLA presence. The increased PLA presence in Afghanistan and some of the other Central Asian countries is a reflection of this dynamic,” says Dr. Yung. The Belt and Road Initiatives is also drawing China closer to Iran. The Iran Nuclear Deal, despite U.S. withdrawal, creates a “potential for China to form closer strategic partnership with Iran,” but China will also counter-balance its own relationship with Tehran by getting closer with Saudi Arabia as well. Dr. Yung says “China sees the Middle East as a central source of its energy needs. It will, therefore, take no actions which will put that source in danger. In short, I think analysis which worries over China’s presence in the Middle East as overblown,” says Dr. Yung. A geopolitical chess reset is taking place. As China continues to emerge as a peer competitor to the United States and is “seeking to revise the international system to suit its interests,” says Dr. Yung. And by doing so it’s joining Russia’s game. This realization is clear in the UN voting pattern where Russia and China often block vote similarly blocking the U.S. in votes on North Korea, Syria and Iran.” China and Russia see cooperation with each other, militarily, economically, diplomatically, as an opportunity to keep the U.S. off balance, to relieve strategic pressure from the West on their individual political interests, and in ensuring the survival of both the Russian government and the CCP regime,” says Yung. Editor’s Note:This article was originally published by KWQC.com and republished with permission. To view the original article, visit here.